As part of the strategic planning cycle, the Australian Research Data Commons (ARDC) organised several statewide consultations in late 2018 as a way to engage with our stakeholders. These statewide events provided an opportunity for research infrastructure facilities, institutions, research organisations, e-infrastructure providers and peak bodies to input into our strategy and capital plan. With multiple sessions hosted across Australia, we were able to consult with more than 333 individuals representing various organisations. Skills to enable people to use tools and contribute. 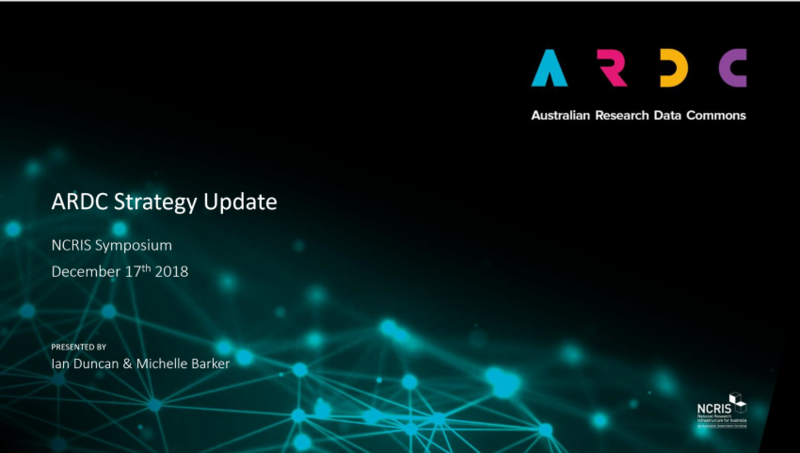 Please view our NCRIS Symposium presentation slides for a summary of the feedback given to ARDC and the current direction of our strategy.